Dépt. De La Seine Inférieure. N°73. [ Rouen ] - LEVASSEUR, V.
Title : Dépt. De La Seine Inférieure. N°73. [ Rouen ]. Size : 11.8 x 17.3 inches. / 30.0 x 44.0 cm. 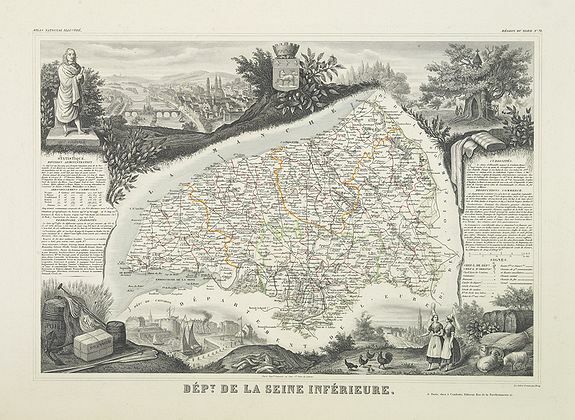 Description :Map of the region north of the River Seine, from Rouen to the North Sea, with Rouen, Le Havre, Dieppe.